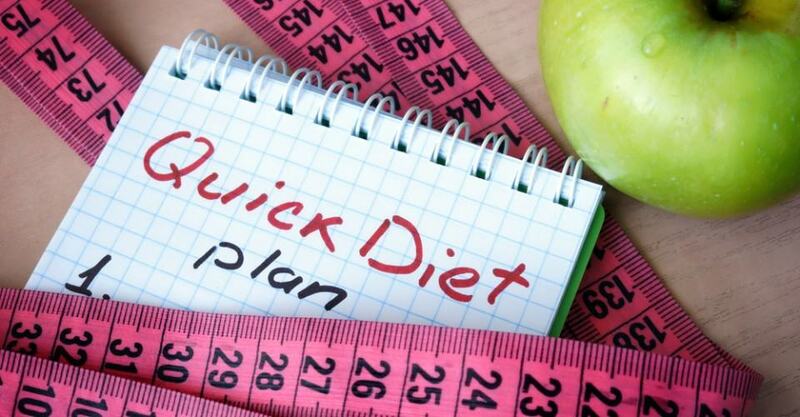 Most, if not all of us, have fallen for the allure of a “quick-fix” #diet at one time or another. How many times have you made the decision to finally lose weight and get in shape? You’re all excited. You promise yourself this is it — the last time. You pick the diet du jour, and you do it. You starve, suffer and sacrifice — you make it happen. You have willpower — you’re strong. The needle on the scale is moving down, so everything else is acceptable. As long as the pounds are dropping off, you can endure the suffering. The hope is that this time you’ll lose that extra weight, and it will all be over — you will never have to diet again. Unfortunately, the quick-fix diet is like a dream lover — the hero or heroine who suddenly appears in our life and promises to meet all our needs, solve all our problems. But the romance of the dream diet is just as elusive and disappointing as that imaginary dream lover. At some point, we’re bound to wake up to reality and the fact that we’ve fallen off our plan, our hopes have not come true, and we’re back where we started: overweight. So why do we do it to ourselves? Because, at least for a while, these diets do actually work. Dieting and overhauling your entire life does help you to lose weight. In fact, the National Weight Control Registry (www.nwcr.ws) — which tracks people who, on average, have successfully lost at least 66 pounds and maintained the loss for at least 5 1/2 years — has demonstrated that successful losers use a variety of dieting methods to shed their pounds. But if any number of diets will help you lose weight, why not simply pick one at random and just go for it? Because the trick is that most of these diets are designed to work primarily in the short term, but not necessarily forever. And I don’t know about you, but I’d prefer not to gain weight back after I’ve lost it. That’s not to say, however, that there’s nothing to be learned from all diets. And, in fact, if you’ve made the choice to be serious about ending your “fat” pattern, it’s critical for you to understand why diets do and don’t work, what it is you can learn from them, and how to use “dieting” to your advantage. You need to know it all if you’re going to succeed. Another major problem with some quick weight-loss diets is that you’re not losing only fat; many times you’re losing water and lean muscle mass. And when people lose muscle, their metabolism slows down. Muscle mass is the body’s most efficient furnace. The more muscle you have, the more calories your body burns, whether you’re sitting reading a book or working out in the gym. So the more muscle you lose, the harder it will become to lose weight. But does that mean every quick diet is going to cause you to lose muscle mass and water? And why would anyone continue on these types of diets given all the negative consequences, especially with their dismal success rates? The answer is that, in the end, diets can be both good and bad, and some are healthier than others. The healthier ones typically don’t involve quick weight loss (on a healthy diet you should lose about ½ pound to 2 pounds per week), they generally help you make healthy food choices, and they put you on a track that helps to create permanent weight control. So you need to understand what a quickie diet will and will not do for you; you need to be an educated consumer. Also, never forget that to sustain weight loss you need to #exercise. In fact, when you diet your basal metabolic rate changes — it goes down, and your overall caloric needs are lower. Basically, you start burning fewer calories than you did before, which makes sense because you’re lighter, and you’re moving less mass (because you’ve lost weight). However, that’s not the full picture. There is also a process known as “adaptive thermogenesis,” whereby your body is adapting and creating a new calorie burn rate. Not good! (Read more about this here: http://goo.gl/aL0f8o.) To overcome this phenomenon, when you diet you also need to exercise. Read my fitness starter plan right here: http://bit.ly/1gmtUpE. No matter what diet you’re on, I have created a wonderful FREE book, the Diet Detective’s Diet Starter Kit, that’s available on Amazon.com, no strings attached. See http://amzn.to/18wvYpb . This is the book I send to friends and family when they ask what they should do before starting a diet. It works with any diet and will help to put you in the right state of mind to lose weight forever. If you don’t feel like downloading the free book, at the very least read the article I wrote called “The Real Truth About Dieting” (see: http://goo.gl/3c5GBm).